Nancy Rubin Stuart is an award-winning author and journalist who specializes in women, biography and social history. Born in Boston, Nancy graduated from Tufts University with a B.A. in English and an M.A.T. from Brown University. In 1995, Mount Vernon College, now part of Georgetown University, awarded her an honorary Doctorate in Humane Letters. While raising children, Nancy wrote for the New York Times under the byline Nancy Rubin. That work and her experiences as a suburban wife and mother prompted her first book, The New Suburban Woman: Beyond Myth and Motherhood. Subsequent books under that byline were The Mother Mirror: How a Generation of Women Is Changing Motherhood in America, Isabella of Castile: The First Renaissance Queen, and the best-selling American Empress: The Life and Times of Marjorie Merriweather Post. 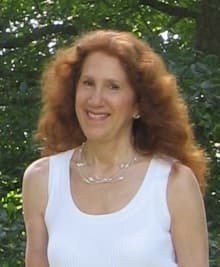 Nancy also wrote for the A & E Network’s series “America’s Castles” and for HGTV’s series “Restore America.” In 2005 Harcourt published her biography on the co-founder of American spiritualism, The Reluctant Spiritualist: The Life of Maggie Fox which won an Outstanding Book Award for Nonfiction from the American Society of Authors and Journalists. Nancy received the American Antiquarian Society’s William Randolph Hearst Award for research leading to Beacon Press’s publication of The Muse of the Revolution: The Secret Pen of Mercy Otis Warren and the Founding of a Nation in 2008. That book won the 2009 Historic Winslow House Book Award and was a finalist in USA Today Book News 2010 “Best Book” Awards. Other honors include three Telly Awards from the cable television industry, the 1992 Author of the Year Award from the American Society of Authors and Journalists, the Washington Irving Award from the Westchester Library System, a Time, Inc. scholarship from the Bread Loaf Writers Conference and a fellowship from the MacDowell Colony. Nancy has appeared on C-Span’s BookTV, the A & E Series “Mansions, Monuments and Masterpieces” and “America’s Castles,” on Oprah, on CBS Morning News, Charlie Rose and has been heard on National Public Radio. She makes frequent appearances at colleges, for book clubs and before audiences ranging from the Palm Beach Society of the Four Arts to Manhattan’s National Arts Club. As a journalist, her work has appeared in many publications including The New York Times, American History Magazine, the Los Angeles Times, The New England Quarterly, The Huffington Post, The Stamford Advocate, Greenwich Time, The Barnstable Patriot, The Cape Cod Times, Business Week’s Careers, Family Circle, Parents, and others on the Bookshelf page. Today Nancy writes for print and screen and serves as Executive Director of the Cape Cod Writers Center. She is currently writing a new book for Beacon Press to be published in 2021. On Defiant Brides: ​"For the lover of American history, this was a great book...The work was well annotated, and researched, easy and enjoyable to read and comprehend. Recommend for those who enjoy lite history biographies and women’s studies."